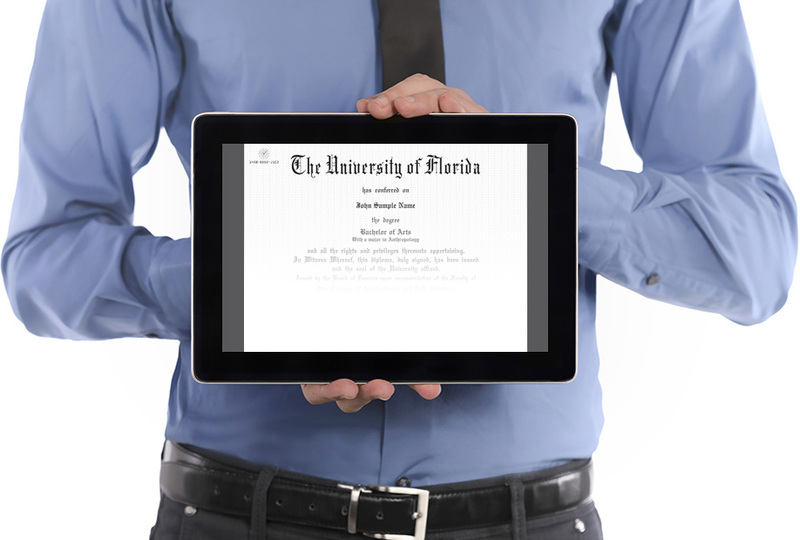 The University of Florida now offers Certified Electronic Diplomas (CeDiploma)! More than a paper diploma. An official, portable and verifiable electronic version of your accomplishment that can be shared for a lifetime! Provide your CeDiD and School URL on your resume to highlight your achievement and expedite the verification process for potential employers. Unlimited Sharing with employers, family, friends and social media. Get a head start on your career and share today. 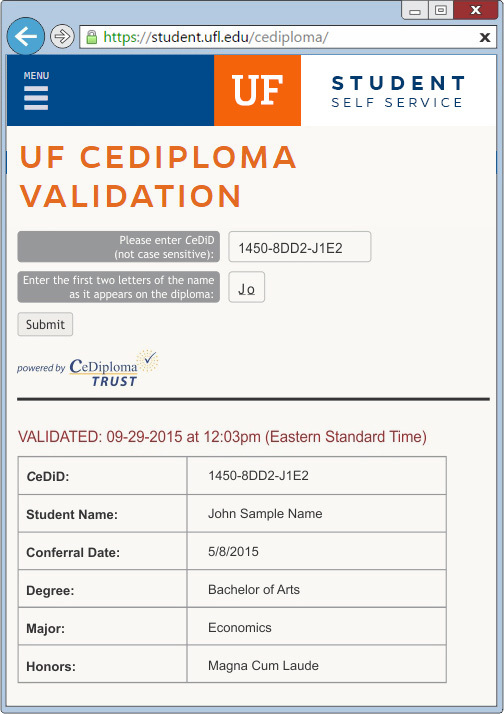 The CeDiploma can be independently validated through the University website by future employers, State Government Licensing Agencies and any other entity that wishes to validate your achievement. The document is Digitally Signed and encrypted such that it is trusted and more readily accepted. CeDiplomas may not be available for all conferral dates.